Sports massage was developed originally to help relieve, or ideally, prevent injuries in athletes. Although the original aim of a sports massage was to aid in relieving pain that can occur in the body as a result of the stresses of physical activity, both athletes and others may enjoy the physical and mental benefits that come along with a good sports massage. Injury – This type of sports massage utilises such techniques as myofascial release, trigger point release, and soft tissue massage, all of which are helpful in treating an injury caused as a result of physical activity. These all aid in releasing built up tension in muscles, restore their normal lengths and supplement the repair and recovery processes. As most muscles are interconnected within the body by fascia, typically the whole kinetic chain will be mobilised and treated as opposed to just the individual muscle causing issues. Maintenance – As the name would suggest, this type of massage is normally sought out on a regular basis in order to keep your muscles feeling nice and loose, and free from potential injury. Maintenance massages are highly recommended due to their ability to reduce the chances of injury and increase recovery. These types of massages are usually deeper, aiming to work out knots, adhesion, and scar tissue while releasing any tension or trigger points that might have built up within the muscles or fascia that surrounds them. Muscles will typically become more flexible and relaxed as a result of this released tension. If the massage is especially deep, it can sometimes result in short-term soreness but after that subsides you’ll likely feel great! Pre Competition– This type of massage is typically scheduled a couple days prior to a race or event. It is typically a little more gentle than a maintenance massage to avoid any potential soreness. The aim of this type of massage is to increase blood circulation to your muscles while also increasing the flexibility and length of them in order to better prepare you for the event ahead. Post Competition– This type of massage is usually done either immediately after, or within a day or two of finishing a race or event. These are usually more gentle and light, aiming to help remove waste built up in the muscles by increasing blood circulation which results in increased recovery and reduced D.O.M.S. This type of massage is highly beneficial and you should strongly consider scheduling one after your next meet! When Should You Schedule A Sports Massage? The choice of when to schedule a sports massage differs from person to person, and the frequency at which one schedules them will vary depending on the intensity and frequency of training, injury history, and cost and time allotments. Elite athletes may receive a sports massage on a near daily basis, especially during the weeks leading to a race or competition, while other less serious athletes may opt for weekly, bi-weekly, or even monthly massages. Even athletes that don’t compete at the elite level may benefit from increasing the frequency at which they receive a sports massage during the days or weeks leading up to a race or competition. If you are seriously training for a meet, well-planned maintenance massages scheduled at regular intervals leading up to your event are a good idea. As was mentioned previously, pre and post-event massages are a good idea and offer great benefits to recovery so consider scheduling a sports massage the day before and also in the hours following your event in order to minimise injury risk and increase recovery! Injuries are the bane of an athlete’s existence! Being injured gets in the way of conditioning and training schedules, dramatically reduces performance, can cost lots of money to treat, and is just all around unpleasant. 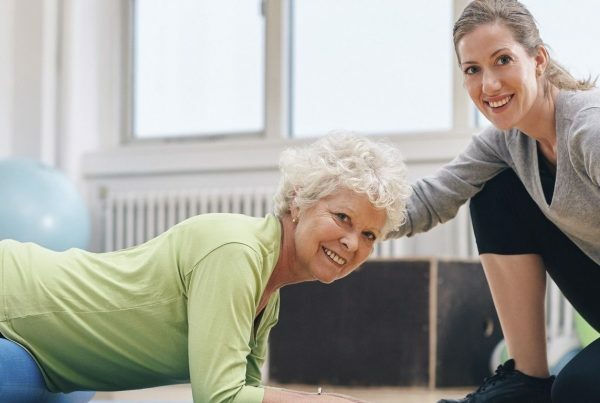 Having to deal with reduced mobility and pain following an injury is worth taking the necessary measures in order to minimise your injury risk. Injuries are overall, frustrating and exhausting experiences! Even though the tissue damaged by an injury over time will likely heal, they add up over time and can take a real toll on your body. When you’re constantly pushing your body to the max during bouts of strenuous activity, the chances of an injury increase markedly. 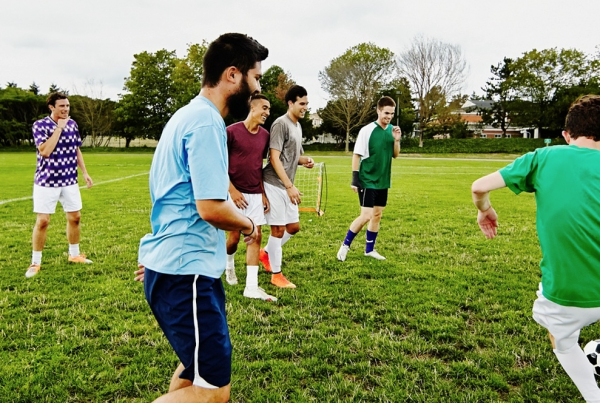 Recurring injuries may even lead to permanent damage! Massage therapy, and especially sports massage has been advancing at a steady pace. Whether its relaxation therapy or a spa treatment; to more specialised therapies including prenatal and sports massages, according to recent studies massage therapy has been making real progress in preventative medicine, such as in aiding in preventing athletic injuries. A study completed by Oxford University in May of 2016 found that massage therapy may prove beneficial in aiding individuals who are experiencing pain. The results suggest that massage therapy could be offered to patients seeking pain management as an alternative form of treatment. The study’s conclusion states that massage therapy offers many other benefits including in reducing symptoms of anxiety and increasing health-related quality of life. Health-related quality of life, or HRQoL, is a multi-faceted concept that encompasses one’s mental, physical, emotional, and social health. During another study, completed by McMaster University, it was reported that a sports massage following a bout of intense physical activity could actually induce increased growth in muscles and results in new mitochondria forming. Mitochondria are the engines of cells that help convert nutrients into usable energy, and for an athlete, increased energy is never turned down! The research discovered that a deep-tissue massage could increase the number and size of newly formed mitochondria more than exercise alone. For an athlete, having more mitochondria means that their performance in endurance sports may increase as a result of muscles more efficiently using oxygen. This study also validated the idea that a massage could decrease recovery times while increasing the range of motion in muscles between sports events and other bouts of physical activity. Sports massages when dealing with injuries does not only focus on a person’s existing injuries but also aids in preventing future injuries. Having a massage before working on your conditioning can aid in injury prevention, but to get the most out of this it should be down following your warm-up. Post-physical activity massage can also be used with great effect to prevent injuries and aid in relaxing muscles. For those that aren’t familiar with DOMS, it is the name given to the pain that often follows new exercise or when we’ve exerted ourselves more than usual. Delayed, meaning that this pain usually comes about in the days following the physical activity, usually in the 12 to 24 hours following. DOMS is a combination of localised pain, muscle stiffness, reduced mobility and flexibility, and an inability to use the muscle effectively. It usually peaks around 48 hours after the physical activity and can take up to a week to subside. DOMS is not fully understood at this point, and it’s not clear what exactly causes its symptoms, though it is believed that either connective tissue damage or your body’s natural inflammatory response resulting in a chemical build-up in the muscles may be partly responsible. Plenty of research studies have been conducted that looked at massage’s relationship to DOMS, and most paint sports massage as an effective treatment! One such study, by Rodenburg et al, had 50 participants receive massages following bouts of physical activity and found that soreness was reduced no matter the timing. These massages were done by a physiotherapist using techniques such as effleurage, petrissage, and tapotement. It was found that not only was the soreness brought on, as a result, DOMS was noticeably reduced but also force recovery was increased as well. Both athletes and non-athletes alike can take advantage of sports massage as a way of helping combat stress! When you receive a sports massage, your body released certain neurotransmitters called endorphins. These endorphins are released by both the hypothalamus and the pituitary gland in the brain and act as a natural pain reliever for your body. These endorphins, released as a result of a sports massage, can aid in reducing symptoms of anxiety, aid in the relief of pain, and offers increased feelings of well-being and a better mood overall. Ambition is the engine that drives an athlete towards success. Whether your aim is to lift more weight, run faster or farther than ever before, or jump and throw further, it’s that effort to improve that results in a winner. For athletes, gaining an edge by any means necessary, be it from changes to their training or recovery regiment is always welcome. It’s important that whatever is done to gain improvements in performance remains within the realms of legality and ethics when organised sports are concerned. 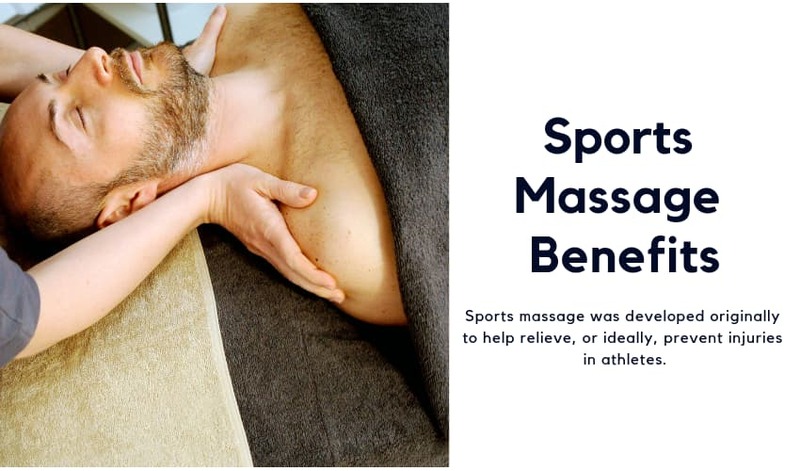 One such way an athlete may improve their performance while staying within the bounds of regulations is by taking advantage of regular sports massages! Research detailed in the North American Journal of Physical Therapy has stated that athletic performance may be improved by regular sports massages, with specific improvements to one’s grip strength and also vertical jumps being noted. When you get a sports massage, the massage therapist is able to apply a great deal of force to the tender areas, known as adhesion’s, and tight muscles in order to signal your nervous system to relax. This relaxation results in a reduction in tension in the muscles targeted. Having a sports massage following competition or intense workout can improve your recovery times by way of increasing blood circulation to your muscles. One study discovered that a sports massage was able to reduce the soreness brought on as a result of DOMS caused by new muscle stimuli, by up to 30 percent! Whether you’re an elite athlete or a weekend warrior, regardless of your goals a sports massage can benefit you! The research points to deep tissue massage proving increased gains in muscle size and improved mitochondrial production when following an intense workout. Getting a sports massage is a great way to let off a little steam, and it can make you perform better both outside an inside the gym. If you’re looking to gain a competitive edge and reach your goals effectively, consider adding sports massage to your recovery routine! With many benefits to both the body and mind, you really can’t go wrong!